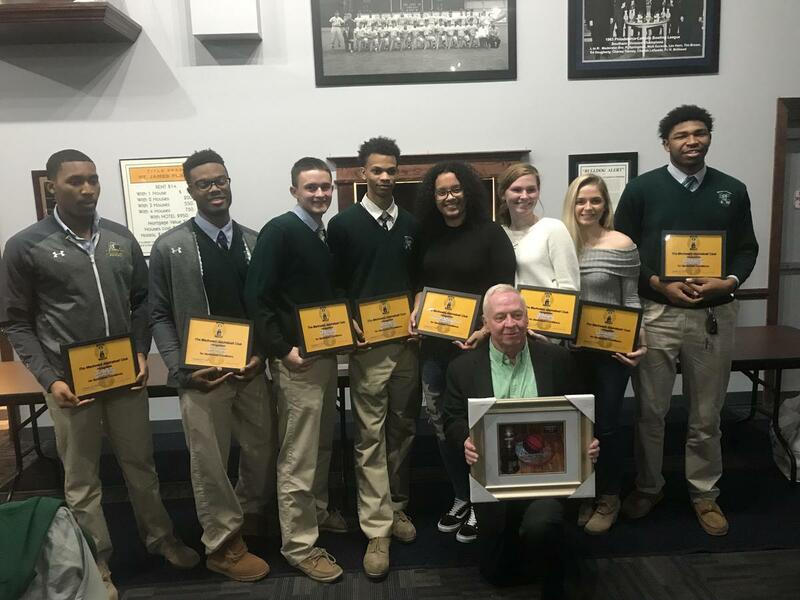 We would like to acknowledge 8 Bonner & Prendie student-athletes who were just honored though the Markward Club for on and off-court achievement: Sam Coleman, Chris Haynes, Tariq Ingraham, Mike Perretta, Isaiah Wong, Kelli Curran, Maeve McCann and Arianna McGeary-Davis. We would also like to congratulation Special Honoree, Jack Glacken, Former Bonner Coach! 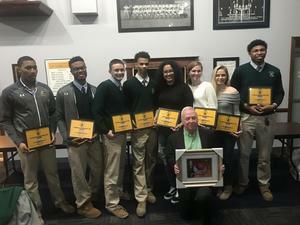 The Markward Memorial Basketball Club, named after the legendary former Roman Catholic High coach, William "Billy" Markward, meets most Wednesdays from early December to mid-March to honor players in the Public League, Catholic League and Inter-Ac League (along with some from the suburbs). Read more about the Markward Award and Recipients here.